Sipromac has seven tabletop vacuum packaging machines of different sizes that are ideal for small or start-up businesses with a low production output. 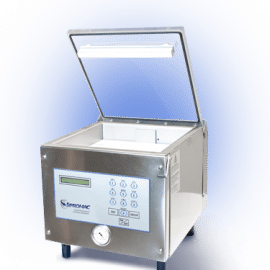 When space is limited, these compact tabletop machines are the perfect solution. 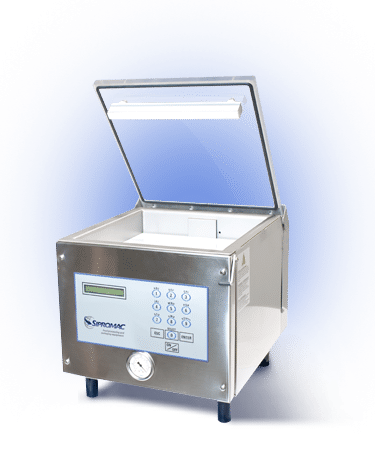 Sipromac tabletop vacuum packaging machines allow hotels, restaurants, grocery stores and butcher’s shops to package meat, poultry, fish, cheese and other foodstuffs impeccably, every time. In addition, these machines are well-suited for packaging pharmaceuticals, medicine or laboratory items, as well as a variety of products from the electronic and institutional sectors (printed circuit boards, cash, clothing). For more information about this machine, click here.